A home inspection from Pelican State Inspection is your best protection when purchasing your next home or investment property.You will spend $200,000 for the averaged sized house in the Shreveport & Bossier City area. It is one of the biggest investments of your life, make sure you protect that investment with one of our in depth home inspection reports. A home inspection will help you better understand the conditions of the major systems of the home you are about to purchase. The inspection report will bring to light problems that exist in those major systems. You will learn about every thing from minor maintenance issues to important system conditions. The home inspector will help educate you about how the homes systems operate and what kind of seasonal maintenance is required. We now offer Sprinkler System Inspections as an ancillary service. Please visit Our News & Blog page for additional information. -->ClickHere<-- for additional information. Shreveport / Bossier Locals Love Us Award Winner 2011-2018. Voted 1st Place in Home Inspection for 2015, 2016, 2017 & 2018! Former Louisiana State Board of Home Inspectors board member representing the 4th Congressional District. While serving on the LSBHI Foxe was elected and served as both Chairman of the Board and Vice Chairman of the Board. 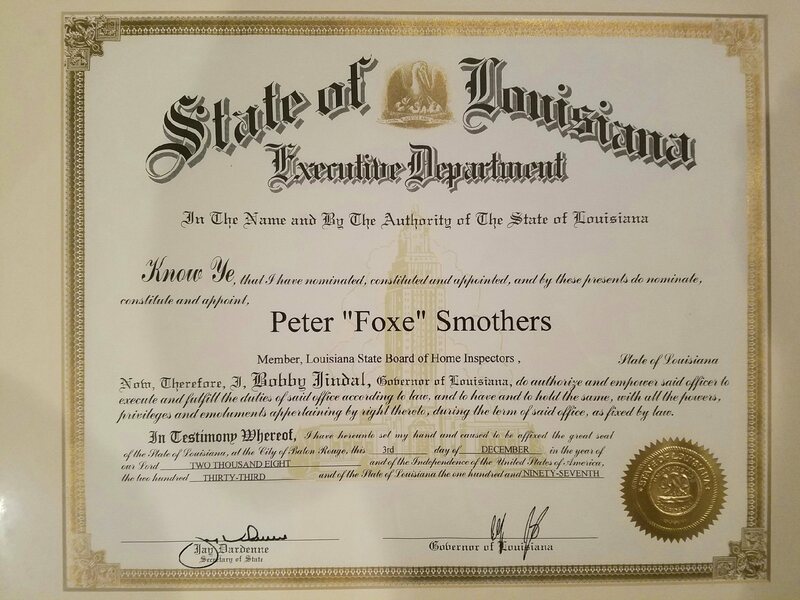 In 2004 Foxe Smothers formed Pelican State Inspection with a background in construction and renovation. Today Pelican State Inspection is one of Shreveport and Bossier City's largest home inspection companies completing over 3100 home inspections since 2004. I believe in the importance of education. I yearly exceed the Louisiana State Board of Home Inspectors required 20 hours of continued education. Pelican State Inspection was formed in 2004 by Foxe Smothers. Since then Pelican State Inspection has become one of the largest home inspection companies in Northwestern Louisiana. We feel that we provide the best home inspection in Shreveport and Bossier City area and our past clients agree. Our excellent customer service, our full color digital inspection reports that include pictures, our competitive prices, and our extensive knowledge of houses and their systems make Pelican State Inspection the clear choice for your next home inspection. We are a locally owned Louisiana business, not a franchise. We are more than just inspectors, we are your neighbors. How long have they been a Louisiana licensed home inspector? How many inspections did they complete last year? Are they members of any professional trade organizations? Do they hold any certifications other that their required state license? Can they provide you a copy of a sample report so you can review their work? Will the inspector allow you to follow him and ask questions during the inspection? Congratulations on listing your home for sale! 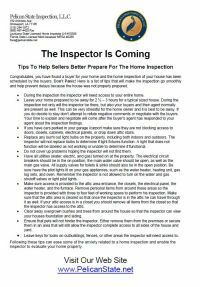 Click the link below for a free copy of "The Inspector is Coming - Tips To Help Sellers Better Prepare For The Home Inspection." 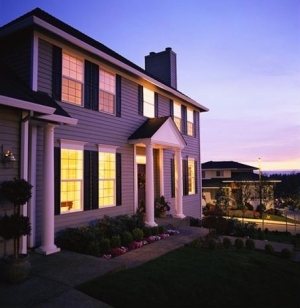 Contained within are "must do" tips to help you better prepare your house for the Buyers home inspection.